Like what you've read? Want more? email address in the form below. And don't worry, I won't pass your details to anyone else and you can unsubscribe at any time! Celebrating New Years Eve At Home? Then Here Are My Must Haves! I don't know about you lot, but when it comes to New Years Eve I just can't hack the going out stuff any more. All that having to get dressed up, dolled up and actually manage to stay awake until midnight is hard work - especially when you have kids. As they say, staying in is the new going out and so this year we will be spending our night at home, with the boys and a few friends so we can sing and dance the night away with the company that we love. So I wanted to show you our idea of fun with a list of what my must haves are! As a blogger, there are many times that I need to print things out, copy sheets and scan leaflets, so that I can get all of my posts written up, as well as doing a lot of the work behind the scenes to make sure everything runs smoothly. 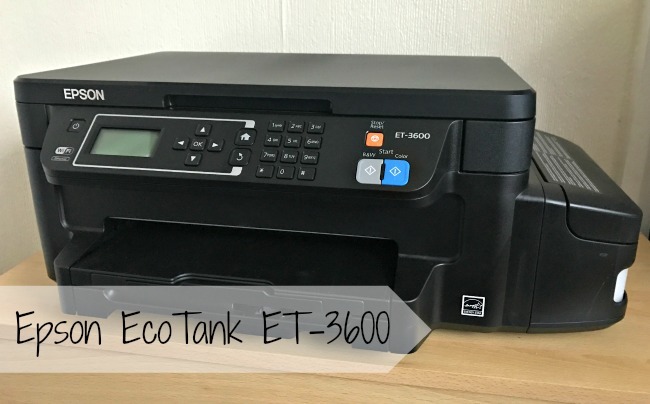 When I had the chance to review the Epson EcoTank ET-3600 I couldn't wait to give it a go as it meant that I could do all of this with one machine, and the fact that it uses less ink was a plus for me. The countdown has already started, and every single shop is playing Christmas carols - to be fair to them, most shops had started months ago with the carols, but you would have surely noticed. Yet sometimes looking at the calendar is not enough to feel excited about Christmas and get into the festive spirit. But don’t despair: You are not on your own here. Many individuals are too stressed to probably give in to the Christmas spirit. Who can blame you? There’s still a lot of shopping, racing against time, and last-minute work projects to do before you can sit down enjoy your traditional sprouts and bread sauce. Here are a few tips though to help you get into the spirit before it’s too late. After all, it would be a real pity if you couldn’t enjoy Christmas! With autumn in full swing and winter just around the corner, there's nothing better than a cosy night in with the whole family enjoying fun and games. Last month, The Entertainer sent us a box full of goodies for a Games Night In with all the necessities for a fun evening together. 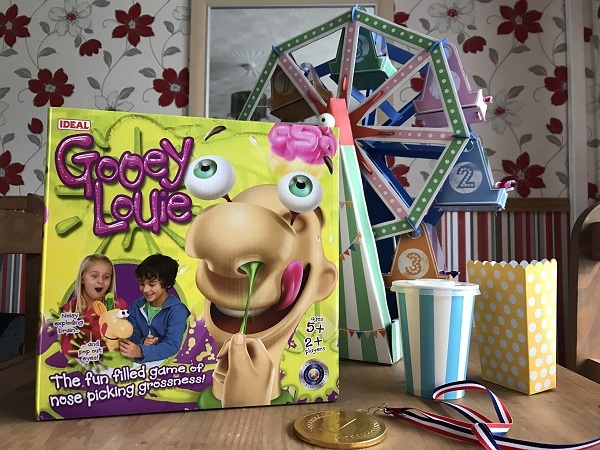 We opened up the box and inside was the oh so funny game Gooey Louie as well as a whole assortment of treats for the kids to enjoy during our games night in. I love clothing for the boys that are different. I don't particularly like to stick to the rules when it comes to clothing and so they regularly wear leggings and even onesies. I think it's great to give them a sense of style from a young age. To let them pick their own clothes and to stand out from the crowd. 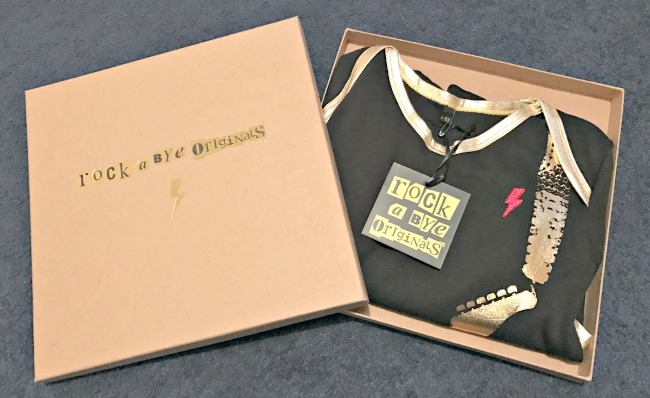 When I was introduced to Rockabye Originals, I was in awe of their designs and couldn't wait for our parcel to arrive so I could kit the boys out in some new threads. It's not often that I get new things for myself. I mean, the kids always seem to need something new so I end up bottom of the pile. So when I got the chance to receive a very new pair of ladies boots from Brantano for myself, I jumped at the chance. 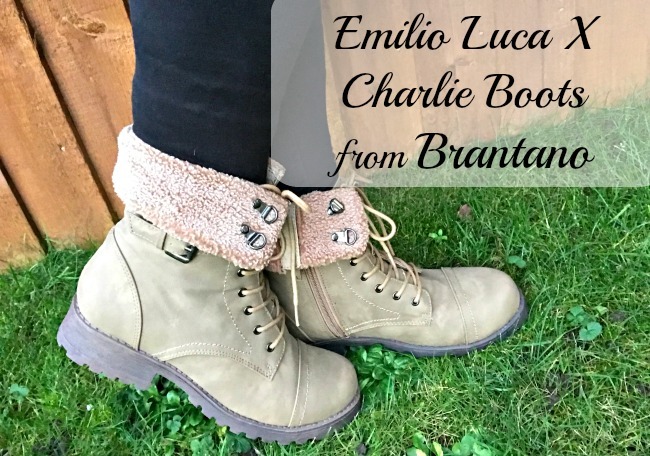 After much searching around their site, and changing my mind too many times to count, I eventually settled on the Emilio Luca X Charlie Boots in taupe. When looking for Christmas gifts for children, I always like to add an educational aspect to them. 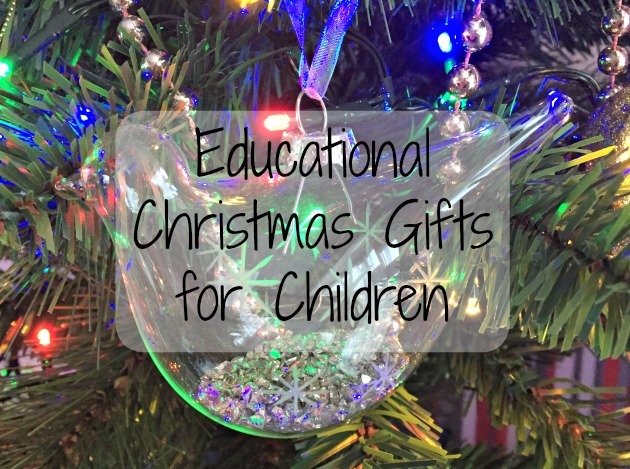 Yeah, there are so many fun toys and gifts for children, but if they give an helping hand in teaching and helping children learn new things, then I'm all for it. Now that T is getting a little older, he like to pick out his own clothing and pick stylish items rather than the bright patterns and funky slogans that his younger siblings go for. 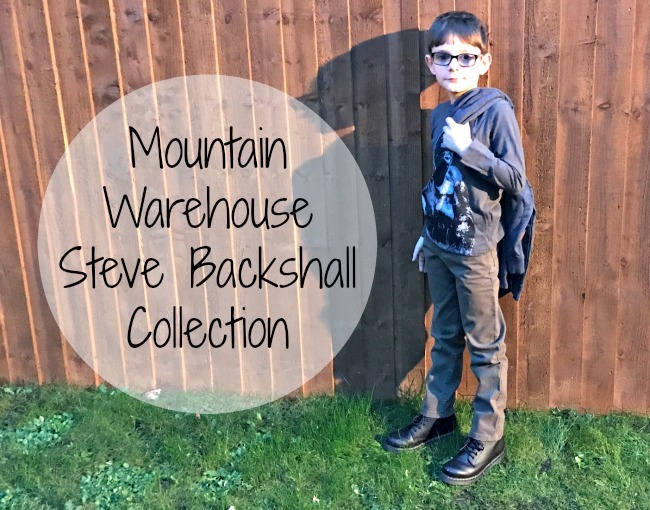 He loves animals though and so when Mountain Warehouse got in touch about their new kids collaboration with adventurer and explorer, Steve Backshall, I knew their clothing would be something that he would lobe to wear. Following the success of the first collection for SS16, Steve is back with a second range for AW16. For children aged between 7-13 years, the collection has been made with the aim to encourage kids back outside and capture the spirit of adventure through design and functionality. After our long day enjoying ourselves in Liverpool, we were ready for a feast and so off we ventured to TriBeCa for a family meal. TriBeCa is a New York inspired bar and pizzeria that offers a selection of unique handmade pizzas that cater for every taste. This was a place that we couldn't wait to visit as all of the boys love pizzas - even T, the fussiest of all. 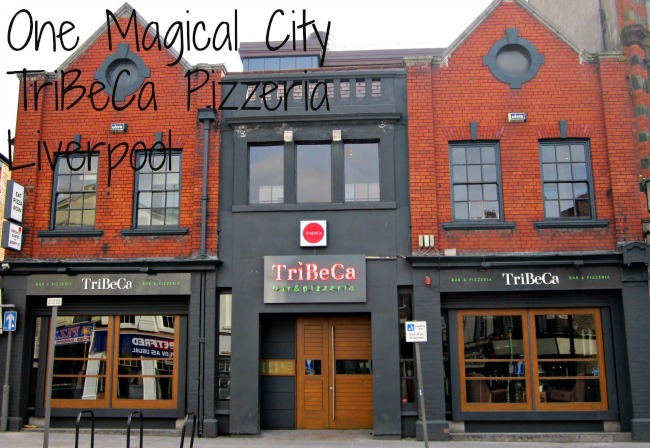 Located about a 5 minute walk from Liverpool Lime Street, TriBeCa is just off the way from the hustle and bustle of the centre and so has a much more relaxed atmosphere. 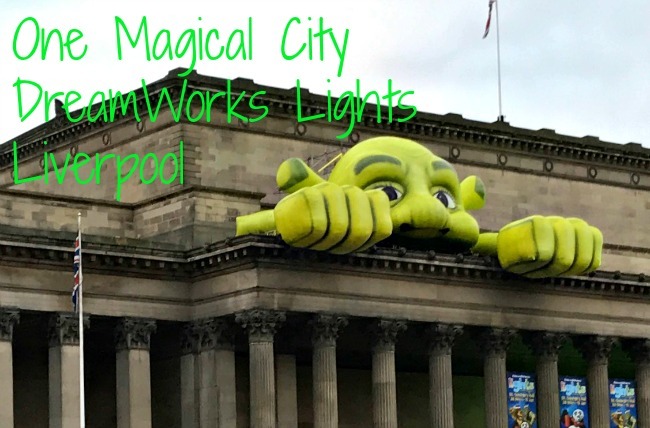 After our lovely evening in Liverpool, and spending the morning shopping and playing on the rides, we had tickets booked for DreamWorks Lights and so off we popped to St Georges Hall to see them in all of their glory. In this UK first, St George’s Hall welcomes DreamWorks Lights - a stunning walkthrough lantern experience for all ages. We popped by the Christmas market on the way in which is situated just in front of the building. 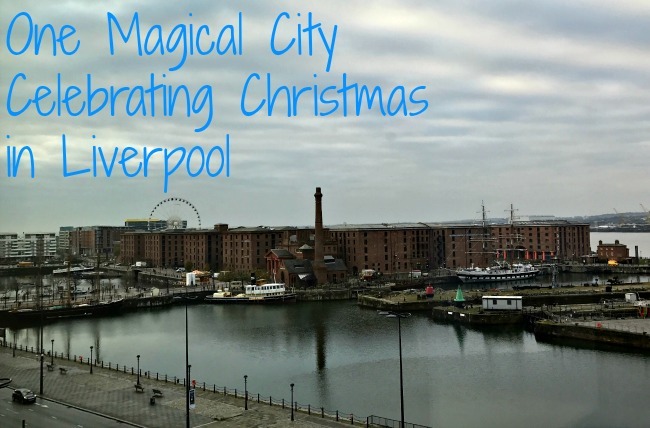 It's not often that we are invited on press trips to place but last week we were invited over to Liverpool to see what they had to offer over the Christmas period. Now, if you read my blog then you'll know that we have visited Liverpool a couple of times over the past few months and it is somewhere that we adore. So obviously I said yes and off we popped on the train to visit the magical city. It seems like Liverpool comes alive at Christmas time. I mean, I've never seen so many lights and sparkle as I did last weekend. So festive, so pretty and so much to do, even for the little ones. 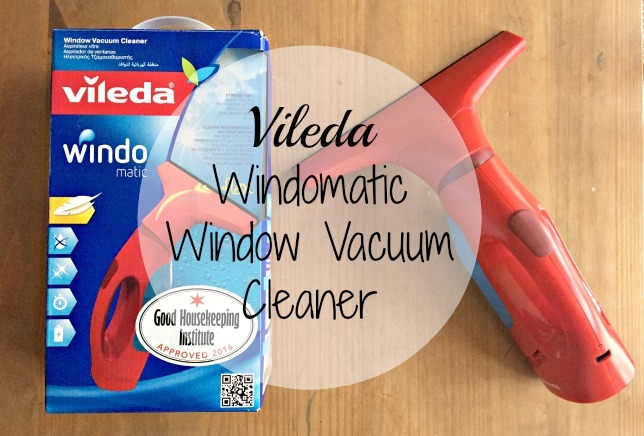 Recently I was asked if I would like to try out one of Vileda's newest products, the Vileda Windomatic and I must admit that I jumped at the chance as I love anything that helps me get the tedious chores done more quicker. Having young children and big windows doesn't mix at all. We usually end up with finger marks and even faces squished up against the glass when they're peeking outside. Don't even get me started on the patio doors!